Norco addiction can be hard to overcome. Some of the signs of addiction include withdrawal symptoms, doctor shopping, financial problems, social isolation, and mood swings. Side effects, such as nausea, fatigue, constipation, and depression also indicate Norco abuse. Teens who are addicted to Norco may have poor academic performance and apathy. Treating Norco dependence is crucial. Norco is a potent opioid analgesic, and as such, it contains various health risks. First of all, the drug is habit-forming and leads to addiction. The risk of overdosing on Norco is also high, which can be lethal. Long-term abuse can cause health complications, such as liver failure. Norco abuse may result in family problems and financial catastrophes. Norco is a widely prescribed painkiller that not only relieves pain but causes addiction. The signs and symptoms of Norco addiction are similar to opiate dependency because the drug contains hydrocodone. Hydrocodone is a potent opioid analgesic, and as such, it is habit-forming. Also, Norco contains acetaminophen (paracetamol), a medication that might seem harmless but leads to serious health complications, such as liver failure. 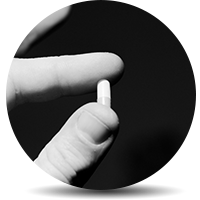 Even when prescribed by a health professional, Norco can lead to addiction. What’s more, due to its effects, such as euphoria and relaxation, many people abuse the drug seeking its recreational wonders. It’s important to spot the first signs of Norco addiction to prevent any possible fatal outcomes. Various physical and psychological changes can also help people spot the warning signs of Norco addiction. One of the most uncomfortable withdrawal symptoms is rebound pain, which often leads to relapse or worsens the severity of one’s addiction. When a person gets addicted to Norco, even the thought of quitting can make the user anxious, scared, depressed, and aggressive. Norco addiction leads to many risks for one’s health and emotional well-being. One of the main dangers is the risk of an overdose. 75% of all overdoses in 2008 were caused by prescribed opiates. To be precise, in 2009 more than 1.2 million ER visits were due to hydrocodone abuse. The scary truth is that more than 150,000 users die every year. Both hydrocodone and acetaminophen are dangerous. Hydrocodone overdose is characterized by slowed heart rate and stupor, while acetaminophen intoxication is marked by stomach pains and liver damage. In the case of a Norco overdose, call 911 immediately. Last but not least, Norco addiction leads to financial catastrophes, family problems, legal issues and risky behavior. How to tell if your loved one is addicted to Norco and needs help? It’s hard to spot the warning signs of addiction when it comes to family and friends. Being emotionally involved and subjective can make the process devastating. However, we should look for the signs of Norco addiction described above, and when we spot any unusual behavior, we should encourage our loved ones to seek help for their substance abuse disorder. Note that Norco addiction is common among teens due to the ease with which doctors prescribe the drug, the relatively inexpensive price compared to other drugs like OxyContin, and the wrong belief that prescription pills are harmless. Poor academic performance, isolation and a new set of friends can indicate Norco addiction. Norco Addiction & Treatment: What’s Next? After recognizing the warning signs of Norco addiction, we should seek help. Interventions also can be helpful when we want to encourage our loved ones to find treatment. Detox is the first step towards sobriety. Behavioral therapy and counseling are a mandatory part of the treatment of Norco dependence. Support groups are needed to reduce the risks of relapse in the aftercare process. Treating all comorbid disorders is also a crucial step in recovery. For all these purposes, many inpatient rehabs, outpatient facilities, and luxury centers offer help for Norco addiction. Find the right center near you here. Note that before admission, assessment and interviews will be conducted to evaluate the severity of your addiction. Remember that living without the addictive pain that Norco causes is possible!